I have repeated this design rule many times: when adding a new plant, plant in odd numbers preferably 3, 5 or 7 if room permits. This is far more impactful than adding one of each plant here and there in the garden. The other rule of gardening is once you know the rules, you can break the rules. 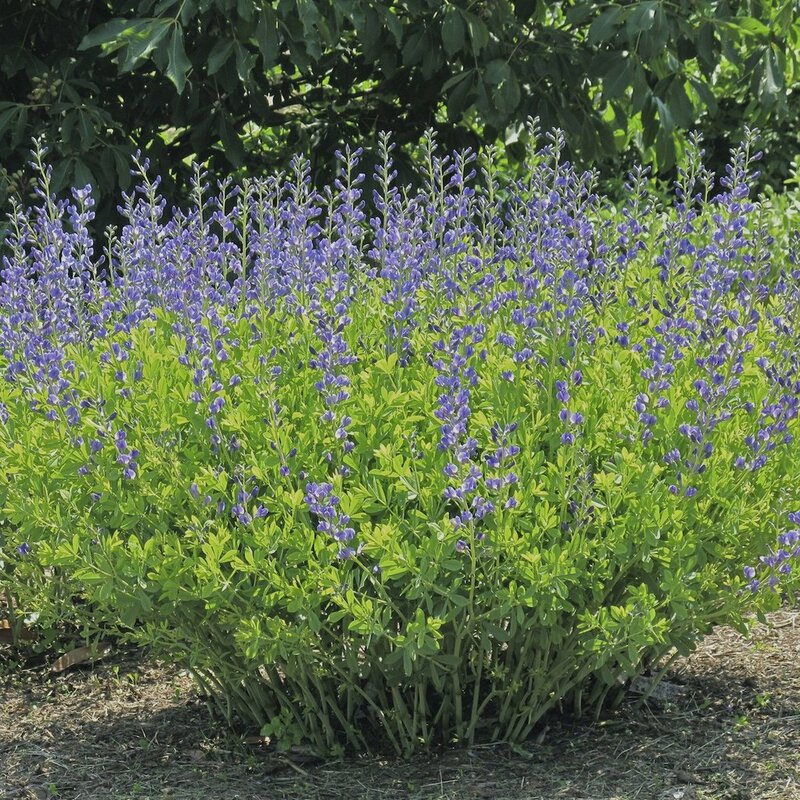 There are some perennials that offer enough visual weight and interest to be planted alone. They become a focal point in the garden vignette. You can use these plants in large groupings, of course, but if you have room for one plant only, or only want to invest in one plant, these are a great options. 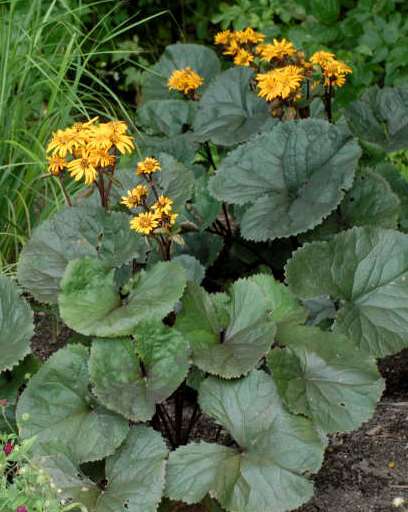 Britt-Marie Crawford Ligularia: (above)This plant has great visual weight thanks to it large, thick leaves with a gorgeous purple underside. They are not huge, about two feet tall and wide, but that space is all leaves, and in the late summer, yellow flowers atop thick stems. Aralia Sun King Cordata: I had one of this plant early on to see if I liked it. I did and promptly added two more. 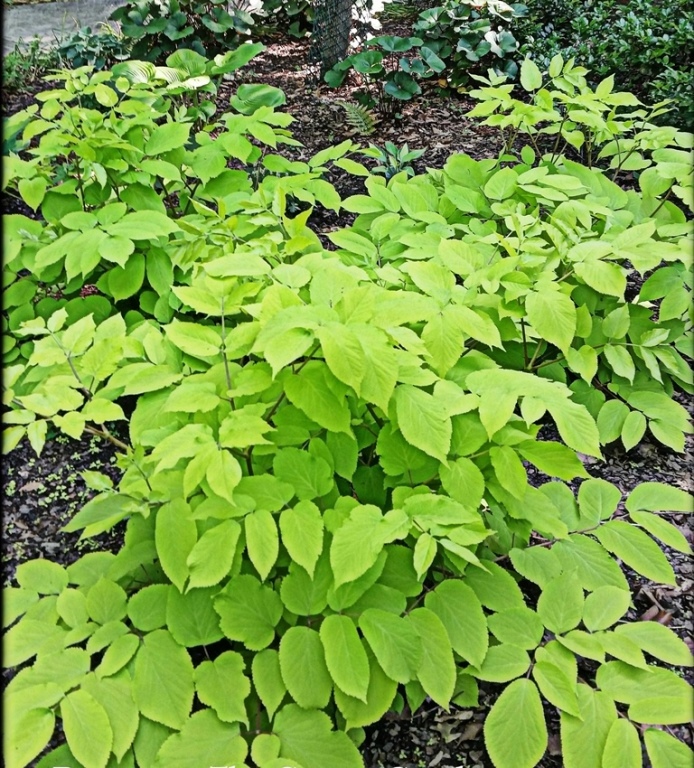 However, if you need some height in a shade to dappled shade garden, a soft light foliage, with limey green color to light green in the fall, this is an ideal pant. It’s about four feet tall with a round habit AKA no naked legs. 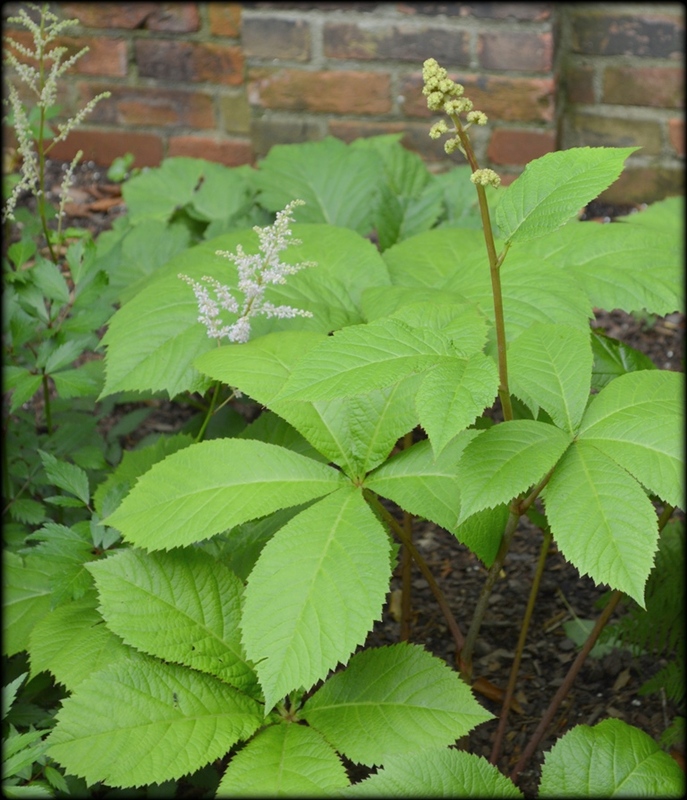 Rodgersia: The leaves of this plant are amazing. Its leaves are thick, crinkly and serrated, with a deep green-purple color. The plant prefers sun to part shade and consistently damp soil. It can be underplanted with a groundcover, like Sweet Woodruff. This does well as a specimen plant for it holds its own wonderfully and contrasts perfectly with plants that have smoother, glossier foliage. Baptisia: It would be difficult to have only one of these, for they come in so many gorgeous colors, are easy to grow and are very long-lived. They are about four feet tall and wide. They have a sturdy upright habit that gives them the feel a bit like a shrub, with naked lags. It looks best with a shorter companion plant. 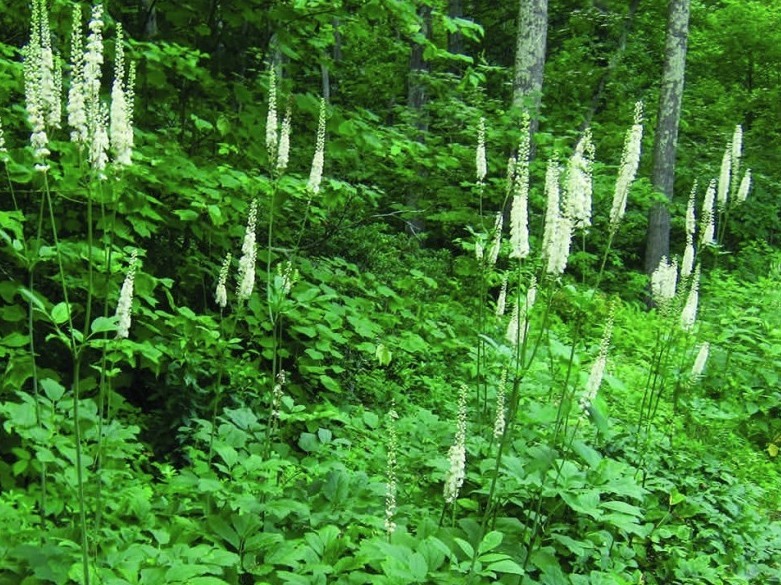 Actaea racemosa AKA Black Cohosh: This not a large plant, it doesn't have much visual weight and its foliage is a lot like astilbe, but it has these incredible long stems covered in white flowers. When it’s not in bloom, I found this plant to blend into the garden. I would use this to accentuate a spot in the garden when the flowers are in bloom. Sort of a look here sign in the garden plan.